Needham DBS is an award winning, structural engineering firm with offices located in Fort Wayne, Indiana and Lenexa, Kansas. The firm designs buildings for architects, design-build contractors, developers, and individual owners. The firm was started in Fort Wayne by Jeff Needham after a career in the steel industry and immediately began serving clients with creative engineering solutions, particularly in the design-build market. The firm was an early adopter of computer modeling and wrote and developed early versions of 3D modeling software. A Kansas City area office was established in 1995. Today, Needham DBS uses multiple modeling packages and design approaches to provide clients with optimal, cost effective projects across a range of project types. These projects include power plants, university field houses, office buildings, aircraft hangars, steel mills, and many other types of buildings. 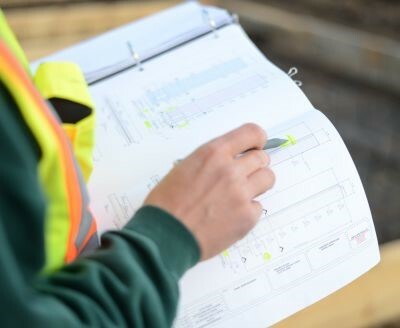 Needham DBS has pioneered a push into the vertical integration of structural engineering services in the overall building construction process. This integration provides a typical structural engineering design plus complete shop drawing production of steel and concrete parts and CNC file creation to drive the factory. This type of service package is known as Concurrent Design and Detailing™ (CD2) and can greatly accelerate production and construction schedules. A major advancement beyond CD2 is Design Build Steel, or DBS as it is currently known. DBS provides the design-build contractor with a fixed price for all design and structural steel without the delays of the conventional approach. Similar in some respects to a pre-engineered system, a variety of simple to very complex building types can be delivered under the DBS banner. DBS can even provide projects installed or erected, as well as incorporate precast concrete wall products, and act as project Engineer of Record for the entire project. It also is a natural fit for EPC style projects such as power plants and complex production facilities. Throughout the firm history Needham DBS has always demonstrated leadership in the profession and innovation in the construction industry. Jeff Needham was one of the four founders of the The Structural Engineers Association of Kansas and Missouri (SEAKM), as well as being a charter member of the Tilt-Up Concrete Association. Needham DBS is currently active in the American Concrete Institute on Tilt-Up Concrete Committee 551 and in the Tilt-Up Concrete Association in various capacities. Needham DBS staff are active participants in local building trade organizations such as the Concrete Promotion Group in Kansas City and the Building Contractors Association in Fort Wayne. Needham DBS engineers remain active in SEAKM as well as serve on the Board of Directors of the Structural Engineers Association of Indiana.